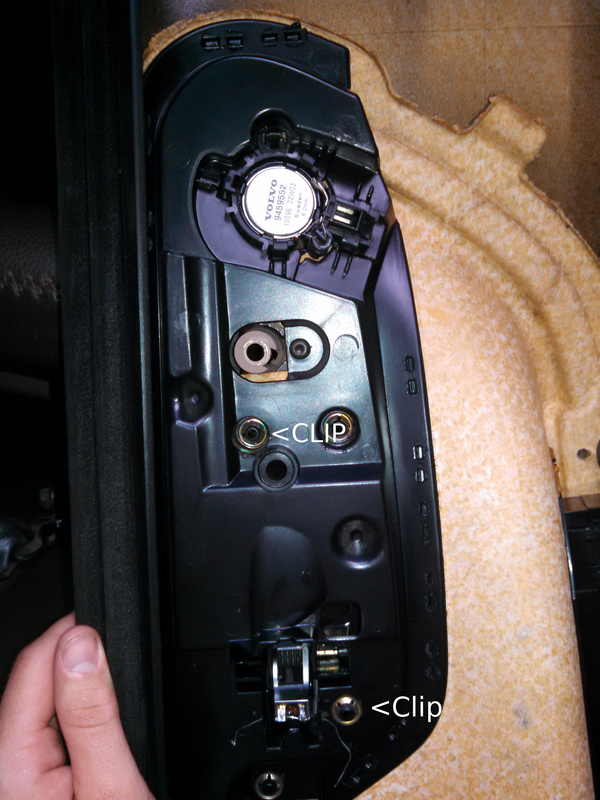 On a 2002 XC70 (assume this is the same for all makes and models) I am trying to replace a door handle latch release on front passenger door from one car to another. Since the door panel interior color is the same, I would like to release the latch mechanism, which includes a wood strip, and remove it from an old panel and put it on my current car panel. However, this latch mechanism is secured onto the panel with both glue and round retainer clips. My question: How do you release these clips without tearing everything up? A couple of these clips are down holes, so some type of tool is what is needed. I have included pictures to better illustrate what I mean by Retainer Clip. Last edited by godfearer960; 06-23-2015 at 06:40 AM. Thanks ES6T. However, already tried that. The clips were completely damaged when trying to remove by screwdriver. Also, a screwdriver is not feasible where the clips are down in holes. Still hoping someone has another tool idea besides a screwdriver.